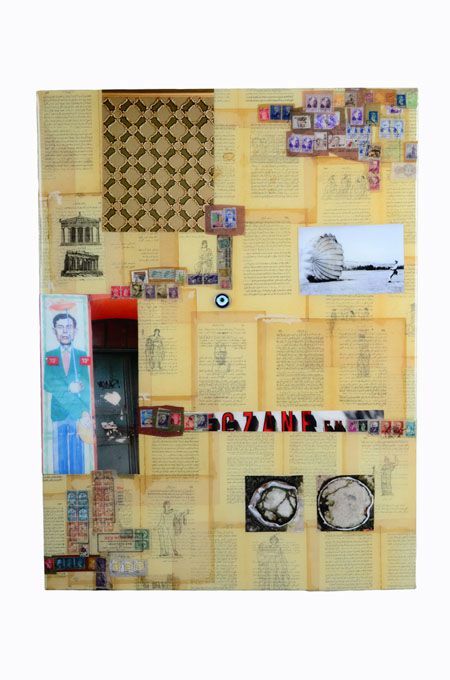 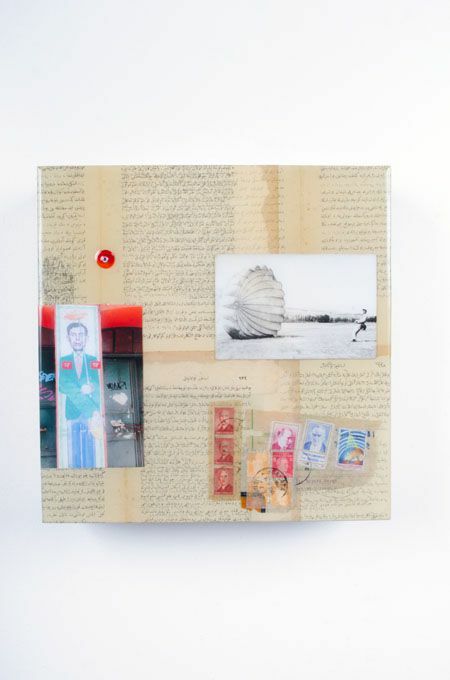 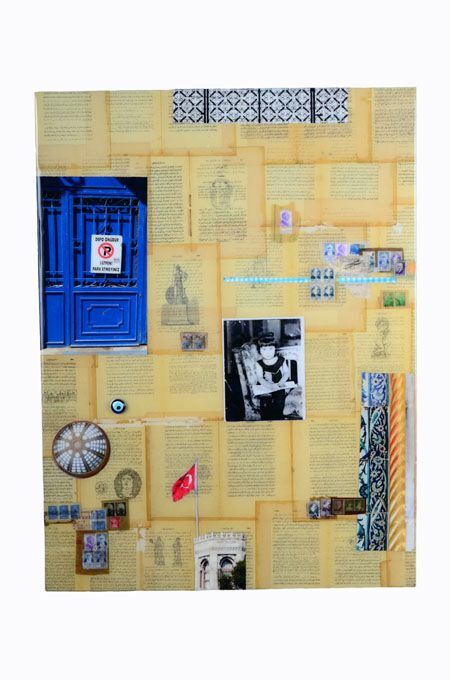 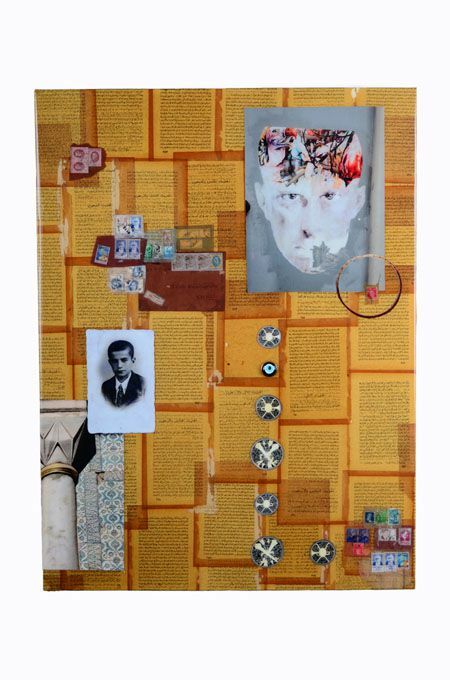 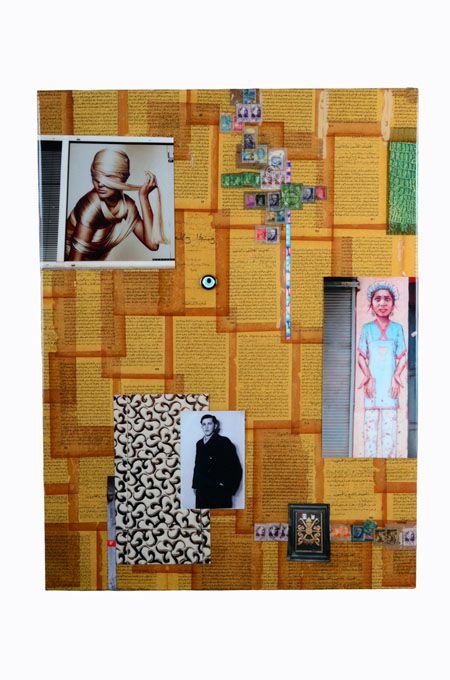 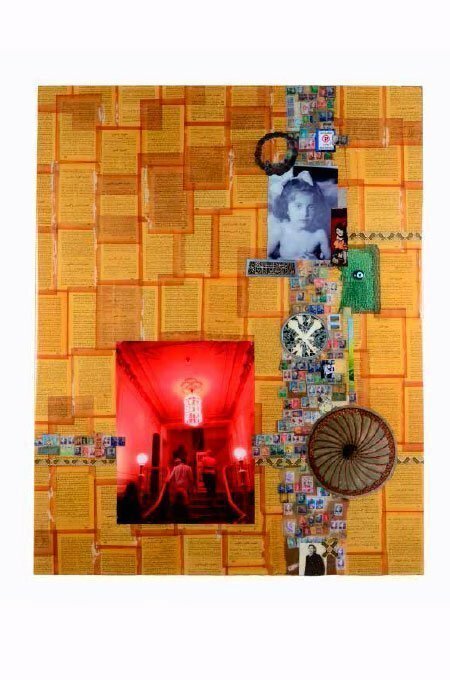 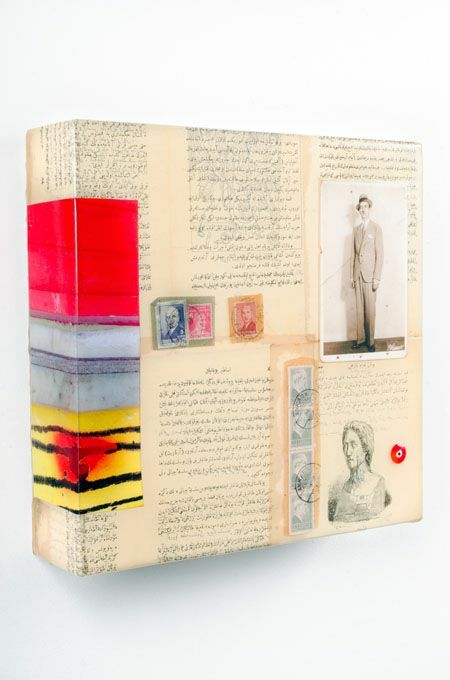 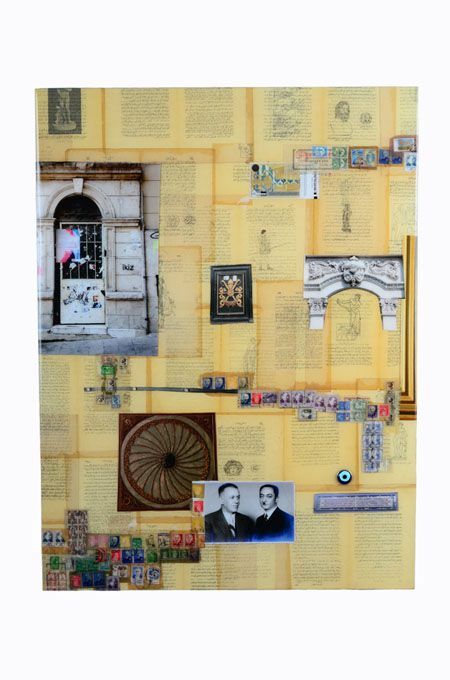 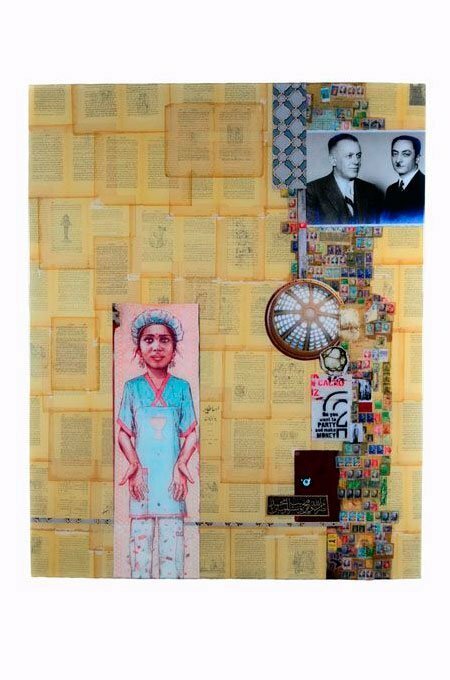 The Atatürk Series represents Huether’s longstanding interest in the written word, as well as in history, architecture and contemporary cultures. 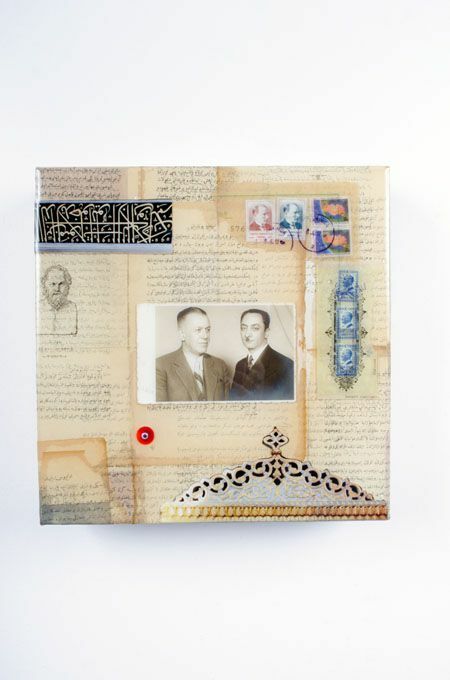 The Ottoman Empire and the country of Turkey, which emerged with the decline of this very empire during the early 20th century, has been of particular interest. 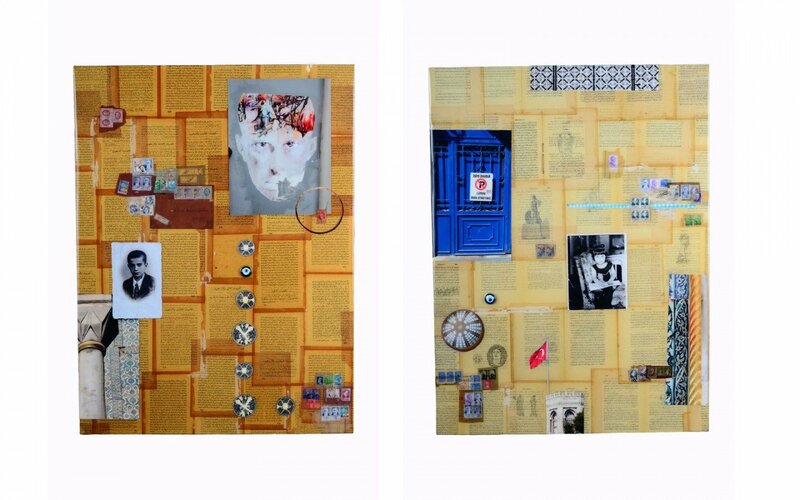 This series is a unique approach on the exploration of contrast, between the ancient and the contemporary. 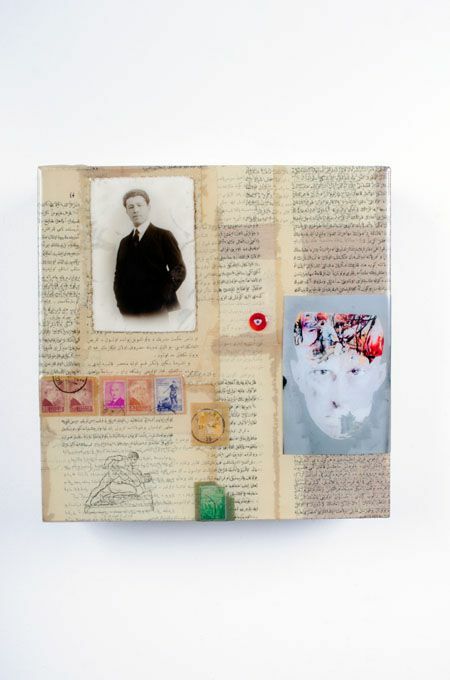 In order to grasp the essence of this body of work, the artist chose to refer to it as the Atatürk Series – after Mustafa Kemal Atatürk, the father of modern day Turkey. 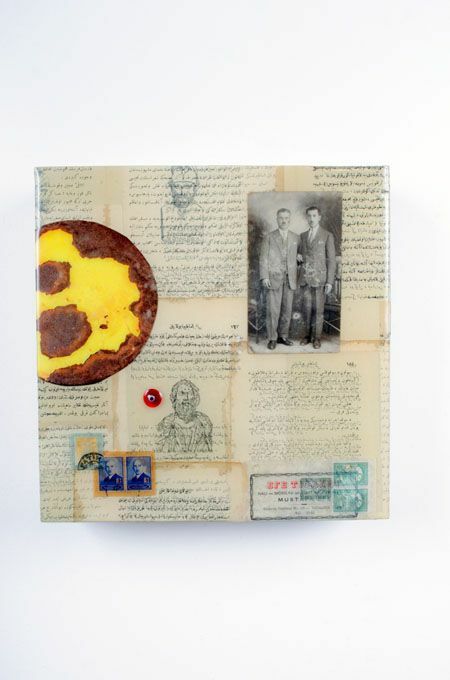 Through this series the artist hopes to illustrate the profound contrast of past and present, and the dramatic cultural shift experienced by the Turkish people, within the context of this historical character. 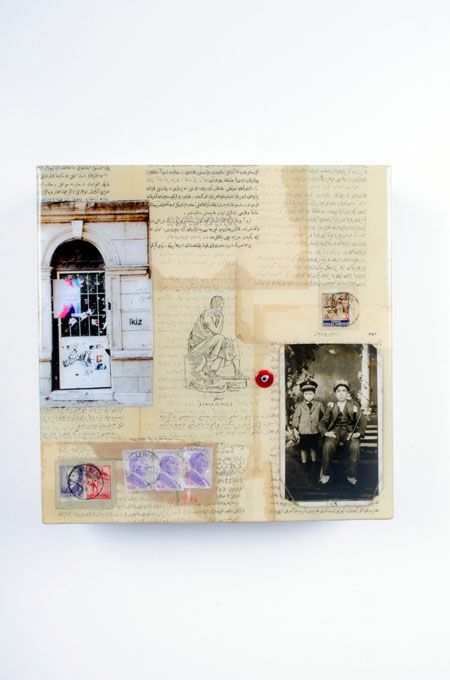 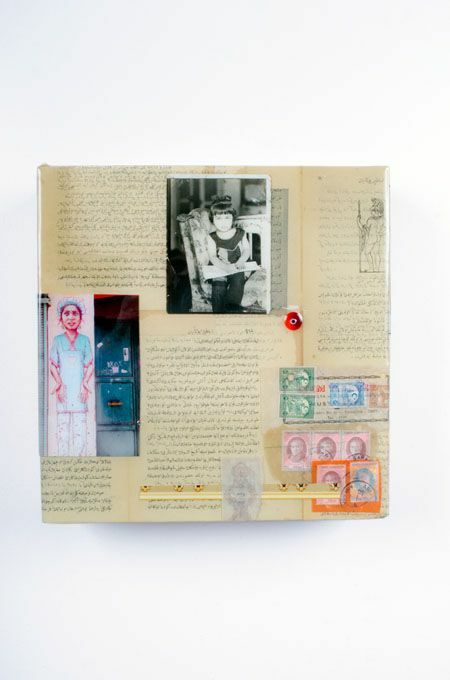 On his 2012 journey to Istanbul, Huether set out to search for “artifacts”: Books written in the historic Ottoman script, old black and white photographs, the so-called evil eye bead as well as his own photographs taken on this journey. 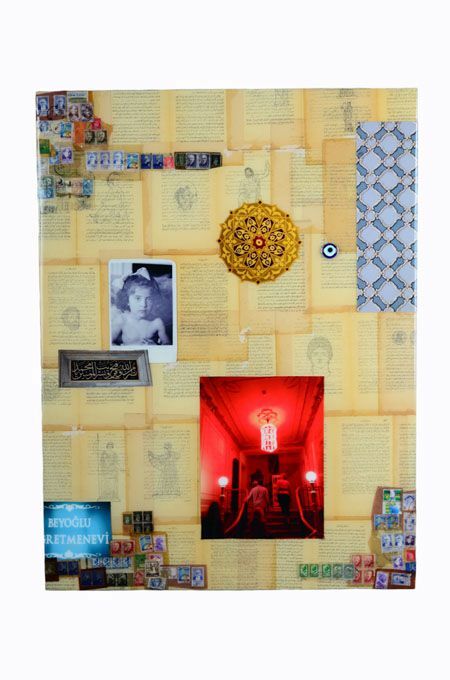 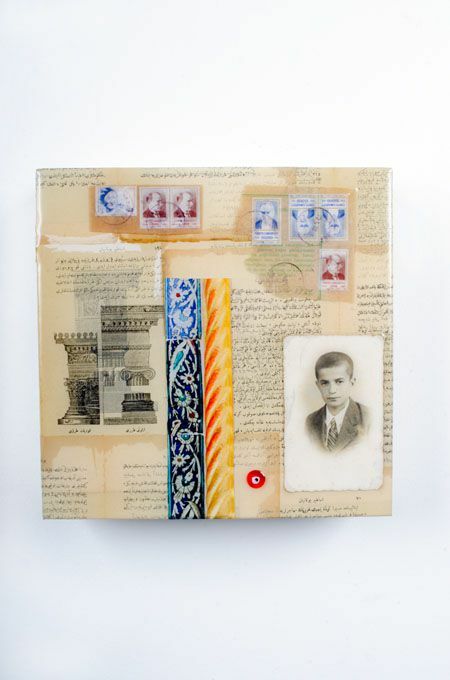 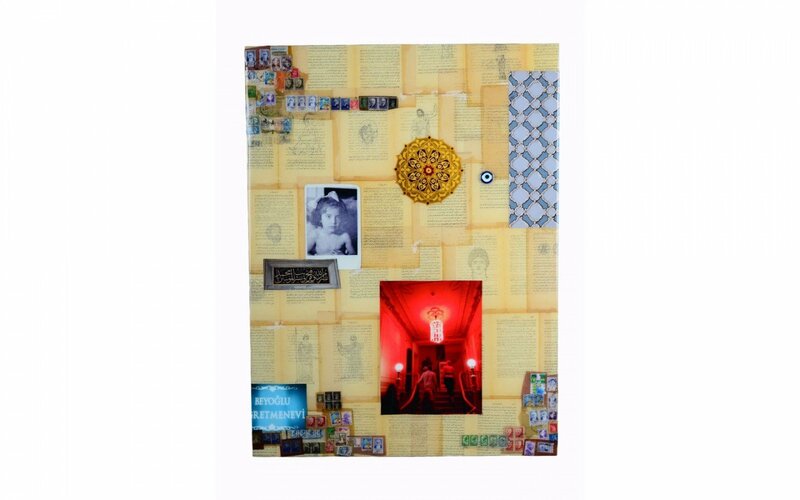 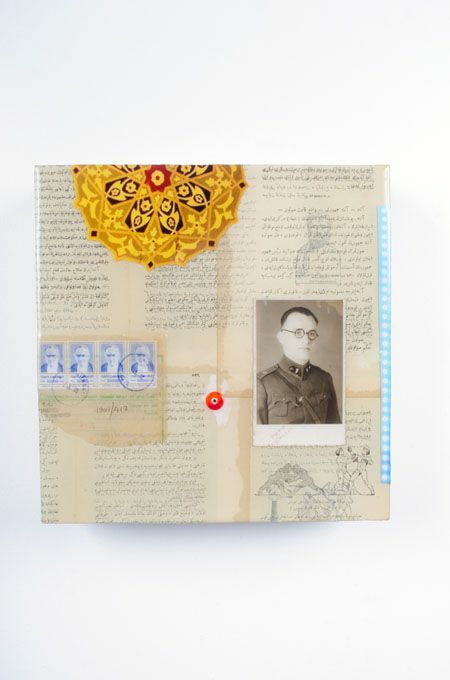 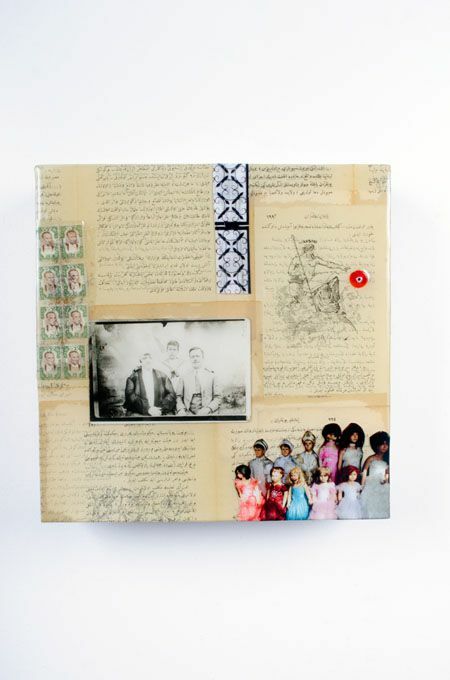 Huether has layered and blended these different facets of Turkish and Ottoman history and culture up to the current day by creating collages consisting of these “artifacts”. 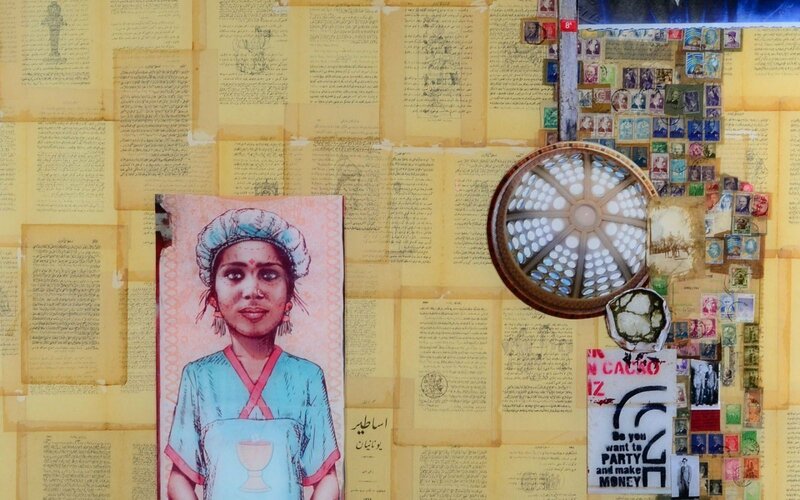 They are vignettes, windows into another culture, another world.